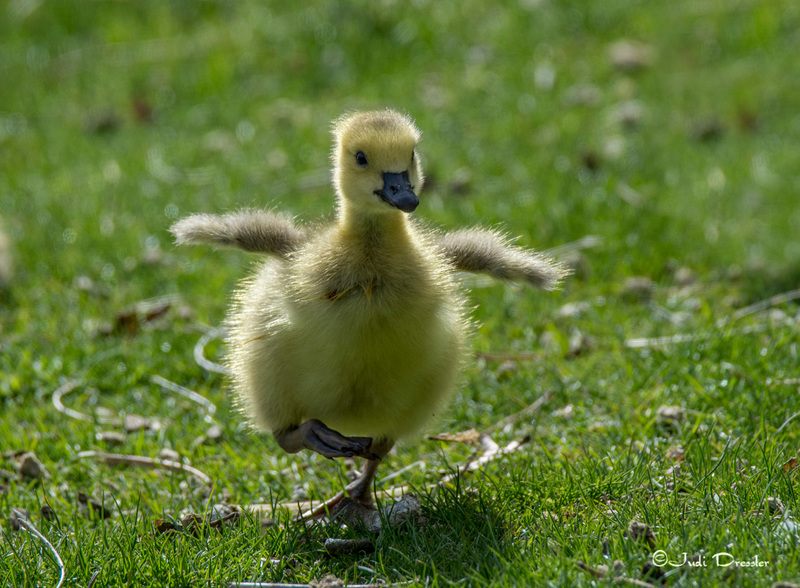 This little Canada Goose baby suddenly noticed that the rest of his family were a bit far away, so he came running towards them. Luckily, that also meant running towards me! Nature is so miraculous. An egg hatches to become a fluffy, living ball that is capable of trotting, swimming, eating, and drinking in about 30 days!